Even though nearly everyone has spent this past week buying their tickets for Avengers: Endgame, there are still a couple of movies getting a wide theatrical release before The Avengers – the biggest of which is a different comic book adaptation by the name of Hellboy! Alas, fans may not be getting proper sequel to Hellboy II: The Golden Army, but at least the Hellboy name continues on. 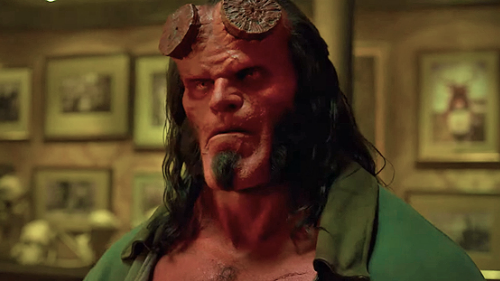 When it became clear that Guillermo del Toro would not be involved with another Hellboy project (which also meant the loss of Ron Perlman as the titular character), the studios involved were forced to decide the fate of the property. And though I’m sure many people would have loved to have seen a Hellboy III, I’m glad Lionsgate opted to reboot the franchise instead of forcing a sequel on us that starred a different actor and was helmed by a different director. 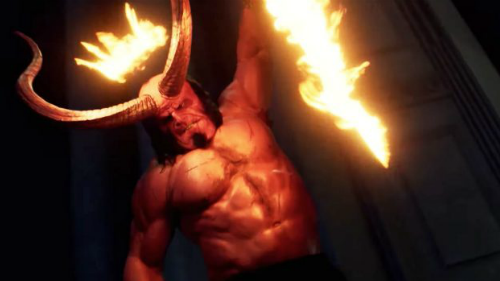 By creating a brand new, R-Rated reboot, this incarnation of Hellboy was allowed to be free from del Toro’s version. And judging by the trailers alone, this interpretation certainly does seem to be free-spirited, loose, and having fun with the source material. The story itself draws inspiration from the “Darkness Calls”, “The Wild Hunt”, and “The Storm and the Fury” story arcs. This version of Hellboy is directed by Neil Marshall, who is also known for helming the “Blackwater” and “Watches on the Wall” episodes of Game of Thrones. The film also stars David Harbour in the title role, along with Milla Jovovich, Ian McShane, Sasha Lane, Daniel Dae Kim, and Thomas Haden Church. With only four feature films released under their studio, Laika certainly has a fascinating filmography. The animation studio – which focuses exclusively on stop-motion animation – has gained a reputation for creating rich, quirky, and often dark movies. Coraline and ParaNorman are probably the studio’s most recognizable films, and though they are both technically rated PG, I’m sure there are some parents who would claim that certain scenes in either film can be a little too dark for their children. Missing Link seems to be a response to that critique, as the tone of the movie looks to be far more lighthearted than any other Laika film before it. Seeing as how Laika’s last film – Kubo and the Two Strings – was also an epic tale of adventure, I’m sure the studio is also somewhat relieved to work on something a little smaller in scale. Tone and scale aside, I have no doubt that the studio’s stop-motion work will be as marvelous and impressive as it usually is. 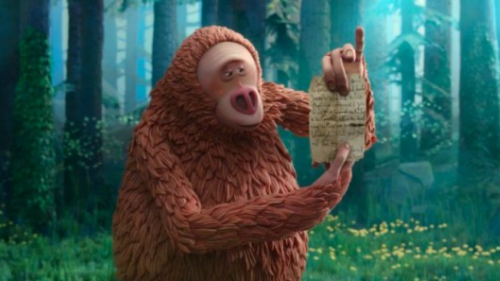 Missing Link features the voices of Hugh Jackman, Zoe Saldana, Emma Thompson, Stephen Fry, David Walliams, Timothy Olyphant, Matt Lucas, Amrita Acharia, and Zach Galifianakis. The film is directed by Chris Butler, who has worked with Laika before on ParaNorman. A fantasy comedy about an overbearing boss who is transformed into a child version of herself. Co-written and directed by Tina Golden – who also wrote What Men Want earlier this year, the films stars Regina Hall, Issa Rae, and Marsai Martin. An anime adaptation of a Japanese science fiction novel by the same name. The film follows a 4th grade genius who goes on a summer adventure when penguins mysteriously start appearing in his suburban hometown which is hundreds of miles away from the sea. A crime drama starring Ethan Hawke, Noomi Rapace, and Mark Strong. The film is based on the true story of the 1973 bank heist and hostage crisis in Stockholm. A musical drama about a shy teenager who dreams of escaping her dismal surroundings and shattered family life by entering an international singing competition to test her integrity, talent, and ambition. The film stars Elle Fanning, Rebecca Hall, and Zlatko Burić. A drama that chronicles the life a ’90s punk rock superstar who is now struggling with motherhood, exhausted bandmates, smaller venues, nervous record company executives, and a new generation of rising talent. The film stars Elisabeth Moss, Cara Delevingne, Dan Stevens, and Amber Heard. A biblical drama about the woman of the same name. Though the film was released in other parts of the world in early 2018, it is finally getting a theatrical run in the U.S. thanks to IFC Films. Helmed by Garth Davis, the director of 2016’s Lion, the film stars Rooney Mara, Joaquin Phoenix, Chiwetel Ejiofor, and Tahar Rahim. It also features the last film score completed by Jóhann Jóhannsson before his death. A martial arts film that serves as a spin-off and direct sequel to 2015’s Ip Man 3. Directed by Yuen Woo-ping and produced by Donnie Yen, the movie stars Max Zhang, Dave Bautista, and Liu Yan. A drama about a man who hosts a wacky – and potentially dangerous – radio contest in an attempt to save his father’s legacy and the last remaining independent radio station in town. A family adventure drama about a ten-year-old whose family manages a lion farm in Africa. When she discovers that a beautiful white lion cub is in danger, she journeys across the South African savanna in search of a sanctuary. A biographical comedy about Emily Dickinson’s lifelong romantic relationship with another woman. The film stars Molly Shannon and Amy Seimetz. A mystery drama that follows a garbage man of a small town who becomes fixated on the suspicious disappearance of a local neighborhood boy. The film stars Andrew Scott, who is probably best recognized as Jim Moriarty from the BBC series Sherlock. A romantic drama that follows a college student as she begins a turbulent relationship with a “bad boy.” The film is based on the 2014 adult fiction novel of the same name. Which movies are you looking forward to? Did you get your tickets for Avengers: Endgame already? Will you see this new version of Hellboy in theaters? Let us know in the comments section.